I have had a variety of food and drink weaknesses throughout my life. In university, I lived on the chicken burger full meal deal at DQ. For several years, I couldn't get enough of the blackened chicken melt with yam fries at The Pantry. I even have memories, stretching way back, of dreaming of having a bedroom filled with Coffee Crisp chocolate bars or Snack and a Half ice cream treats. I remember this one time at band camp.....no, seriously.....of having a thing for white cream soda. It was like liquid perfection to me. During my thirties and forties I drank way too many beers for my own good - never lots in one sitting, just singles and doubles on a disturbingly regular basis. In more recent years, it has been scotch or whiskey that fills my liquor cabinet. This summer, I have been extremely diligent, not having had any alcohol save a single beer on a day that was exceptionally hot. I wanted to prove to myself that I didn't need to have that sip of whiskey each evening while watching our show. To be honest, I don't miss it. 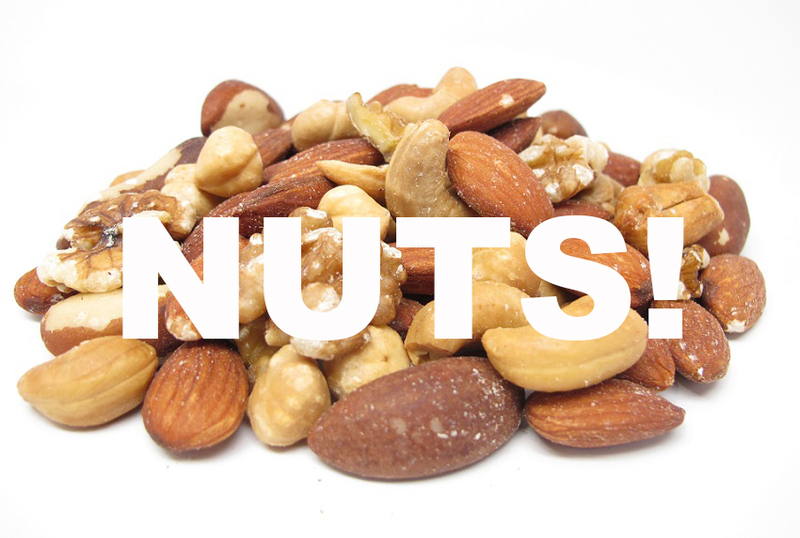 My weakness now is absolutely nuts! No; that's my weakness: nuts. Almost on a weekly basis I have to go to my neighbourhood Safeway to pick up my preferred mix of bulk nuts, seeds, raisons and cranberries to fill a container that normally sits on the counter. I've taken it and put it in the cupboard, as I'm trying to learn the art of resistance. I'm actually back on the Ideal Protein program for a week, trying to lose a few pounds to return to low tide in advance of my trip to Ontario next week to attend Mindcamp. Yesterday I sought to make it a "perfect day", or a day when I follow the program to the letter of the law. With the exception of a few almonds and cashews, I mostly succeeded, and dropped a full pound in the process. My weaknesses seem to shift over time, from sweet to crunchy, carb-filled to crispy. 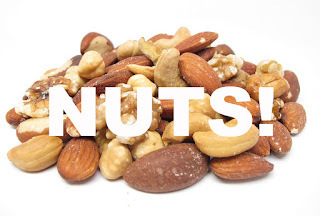 Generally speaking, nuts are a pretty good weakness, all things considered. But, I can't just have one - bowl full - I end up having several before my craving is fully satiated. Baseball pitchers strive for the perfect game. I'm going to strive for a perfect day, sans nuts, and see what happens.